Background/History: A long time ago, a place where hybrids once roam the realm of zero… Levious came to be, a force to be reckoned with, with incredible power, and strength for just a hybrid. The adventures he had, battles he fought, and the friends he had. They were long since forgotten as time flew by. By the time he turn 35, due to his short life span as half fox, he passed away. Then a slight light appeared, ever so slightly. It was undying, ready to burn, glow like the warm sun. “Its time to come back…” A voice has whispered, “You are worthy, to keep the peace, and protect the people…” Levious responded wearily as the light died down, “My time is done, why must you wake me, Im just a sly fox.” The light started to form into a person, a deity name Miasmirem. 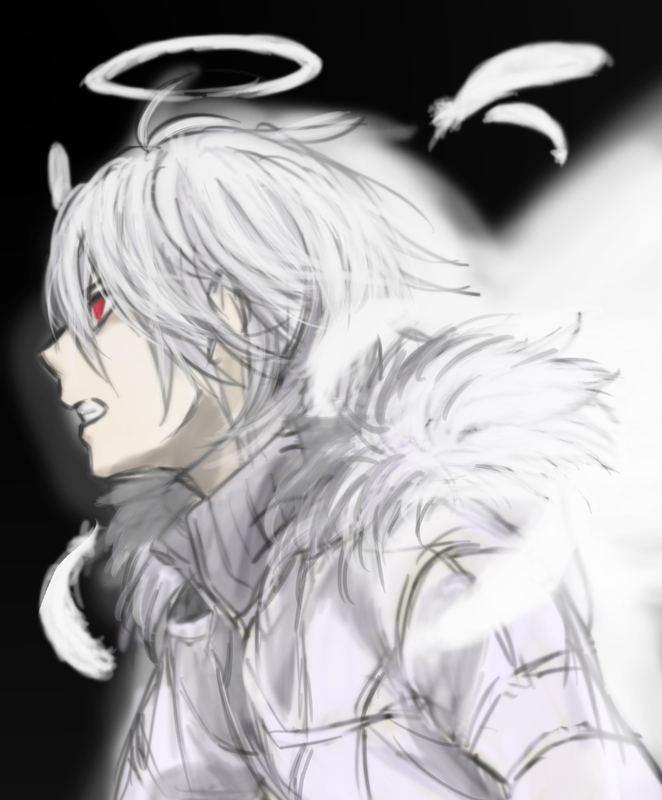 “Then why were you fighting?” Levious conscious started to form from the darkness, light depicting his face. He then open his eyes, and a fire appeared around him. Forming his body. “To keep the warm glow of the innocent smiles.” Wings expanded from his back, a powerful radiance glowed, invisible vectors pulsing around him. Miasmirem smiled, “I expect great things from you. There's evil you must face.” Levious grinded playfully, “This doesn’t have to be a full time job right?” Miasmirem started to fade away, “Stay strong my angel.” And thus, Levious was reborn into the Realm of Zero. Personality: Joyful, sarcastic, partial sense of duty. Likes: Foxes, conversations, joy runs. Dislikes: Deception, overwhelming evil, and destiny.